Boston, Mass.– Joyce A. Murphy, Executive Vice Chancellor of Commonwealth Medicine, UMass Medical School’s health care operations and consulting division, will be honored with the John M. Corcoran Award for Excellence. Founded in 1993, St. Mary’s Center celebrates 25 years of service and its origins by honoring Murphy with an award named for the founding trustee of the Center. Murphy will be honored on October 17, 2018 at St. Mary’s Center for Women and Children’s 15th annual Diamonds of Dorchester event. At the agency’s 2017 Diamonds of Dorchester event held last October, St. Mary’s Center announced a million-match challenge gift from Amazon. This month, the agency met the challenge raising $2.2 million toward the $7 million Community Resource Center project and capital campaign. The Community Resource Center will build on the organization’s expertise in providing life-changing programs and services to individuals and families experiencing homelessness, poverty, trauma, abuse, substance use disorders, and immigration concerns. The Community Resource Center’s mission is to prevent homelessness before it begins and will serve individuals and families on the brink of homelessness or those formerly homeless. The Center’s founding trustee, John M. Corcoran, the late real estate developer and philanthropist selected Ms. Murphy to work with him in leading the transformation of the former St. Margaret’s Hospital on Jones Hill in Dorchester to become St. Mary’s Center, the premier shelter for at risk families. Twenty-five years later, the Center has eight programs– five residential and three education and employment programs and is working on its ninth — the Community Resource Center. Following the transition of the hospital to a multi-faceted health and human services center, Ms. Murphy became the first president. 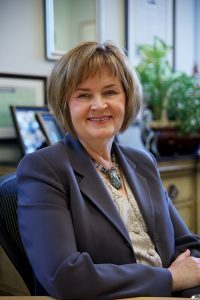 Among Murphy’s many accomplishments, she created the Bridge Home, a residential shelter for children, newborn to twelve years of age who have experienced trauma and abuse in their home. For more than 20 years, Bridge Home has been a haven for hundreds of children each year who receive 24/7 nurturing and professional care to heal, recover, and ultimately thrive. Murphy has been a trailblazer for women and has led a distinguished career, including nine years as President and CEO of Carney Hospital, a community teaching hospital. Ms. Murphy began her career at the Massachusetts Department of Correction (DOC), where she later became the Superintendent of Massachusetts Correctional Institution at Framingham, the sole women’s prison in the Commonwealth. Following her eleven-year tenure at the DOC, Ms. Murphy served as the First Deputy Commissioner at the Massachusetts Department of Revenue for four years. Throughout her career, Ms. Murphy has received numerous awards, including the Pinnacle Award from the Greater Boston Chamber of Commerce. She serves as Chair of the Harvard Pilgrim Health Care Board of Directors, and is a director on the Curry College, Schwartz Center for Compassionate Healthcare, East Boston Savings Bank, and Meridian Bancorp, Inc. boards. “We are thrilled to honor Joyce at the Diamonds of Dorchester event this year, especially during such a special year celebrating St. Mary’s twenty-fifth anniversary. So many Moms and children have called St. Mary’s Center home, regained hope, and forged a path to success. For this we are indebted to Joyce and Mr. Corcoran,” said Deirdre Houtmeyers, president and chief executive officer, St. Mary’s Center for Women and Children. Since 1993, the Center has served more than 10,000 families through its mission to partner with women and children as they achieve emotional well-being, educational achievements, and economic independence. Currently, St. Mary’s Center serves more than 700 women and children each year. The Diamonds of Dorchester event is being held at the Boston Marriott Copley Place and begins at 5:30 p.m. with a reception and silent auction, followed by dinner and a speaking program. The agency relies on $1.5 million in private support to sustain its programs. Each year, Diamonds of Dorchester raises $500,000 and is attended by 500 members of the community. To sponsor or purchase tickets to the event, visit www.stmaryscenterma.org. Boston, Mass. – St. Mary’s Center today announced the biggest, single corporate gift in their history—a $1 million match offer from Amazon—which will enable the agency to expand its reach into the community by providing preventative services, housing support, and job training for families on the brink of homelessness. To celebrate the announcement and their partnership, St. Mary’s Center and Amazon planned a Fall Fun Festival for St. Mary’s Center families and staff in Boston. St. Mary’s Center is a leader in programs, services, and shelter for homeless women and their families. The organization is located in Dorchester, where the highest concentration of homeless families within the City of Boston (47%) live. Today, St. Mary’s Center supports more than 600 children and families through emergency shelter, job and employment training, and educational, clinical, and preventive services. Founded in 1993, the organization has more than 100 employees and hundreds of volunteers. With Amazon’s match, St. Mary’s Center will build on its cornerstones of educational advancement, economic stability, and emotional well-being for women, children, and families who have experienced trauma or are living in poverty by creating a Community Resource Center on its campus. The new program and its staff will support both families transitioning to permanent housing as well as provide proactive support to families on the brink of homelessness. Mayor Walsh was born at St. Margaret’s Hospital. St. Mary’s Center is located on the site of the former hospital. In the days prior to Mayor Walsh’s inauguration in January 2014, the relationship was renewed when many of the Mayor’s staff and campaign supporters volunteered at St. Mary’s Center. The Mayor also plans to speak at St. Mary’s Center for Women and Children’s 14th Annual Diamonds of Dorchester fundraising event on Wednesday, October 18. This $1 million match campaign expands Amazon’s support of nonprofits that provide critical emergency services to women, children, and families. Earlier this year, Amazon announced similar $1 million matches to Friendship Place, a leader in the Washington, D.C. region in developing innovative solutions to homelessness, and Mary’s Place, an organization in Seattle that provides emergency shelter and services for women and families experiencing homelessness. Amazon also announced plans to build a permanent home for Mary’s Place within its newest office building in downtown Seattle – a first-of-its-kind partnership. In addition to Amazon’s $1 million match, dozens of Amazon employees are working together to support families of St. Mary’s Center. This week an Amazon van traveled up the East Coast, stopping in Washington, DC, Northern Virginia, Boston, and Cambridge, Mass. to collect donations from employees to give to St. Mary’s Center families. 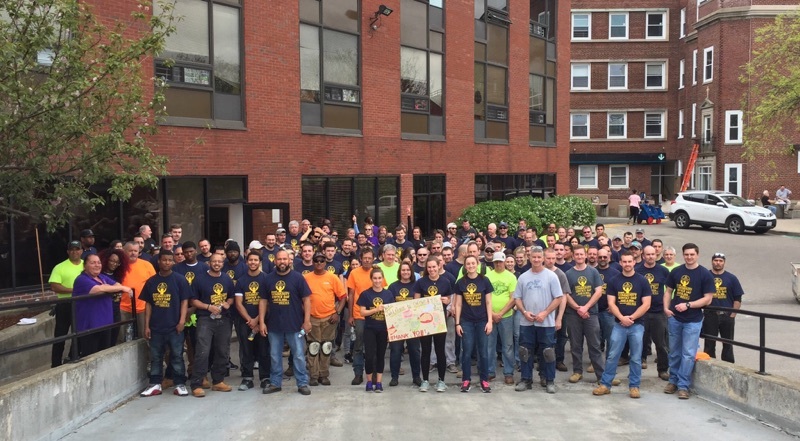 Boston, Mass.— On Friday, May 19th for the third year in a row, more than 100 volunteers and 50 companies representing the Associated General Contractors of Massachusetts (AGC of MA) return to St. Mary’s Center for Women and Children to repair and enhance the Dorchester campus. The day-long project, which kicks off at 7 a.m., brings more than $250,000 of pro bono capital improvements to the aging facility, located at the former St. Margaret’s Hospital. St. Mary’s Center has been a beneficiary of the service day in 2015 and 2016, which has transformed the campus via $750,000 in professional expertise, materials and equipment, enabling more resources to be directed to the agency’s eight programs. Seven programs are located in Uphams Corner the main site of the service project and Crossroads Family Center in East Boston will also benefit from the project. More than 600 women and children receive shelter, education, and employment training at St. Mary’s Center each year. In 2016, to recognize the extraordinary dedication of the AGC MA and their service to the community, St. Mary’s Center honored the organization at its annual Diamonds of Dorchester event bringing together the lead volunteers and companies to receive the John M. Corcoran Award for Excellence. The award is named for the founder of St. Mary’s Center, and fittingly a philanthropist with expertise in building management. Current projects include overall flooring, heating/cooling repairs, painting, plumbing, window replacement in order to maintain a dignified and safe place for families who live, learn, and work at St. Mary’s Center. There also will be a second renovation to GRLZradio, the teen mentoring program, due to growing community demand for the academic and youth development program that is also a 24/7/365 web-based radio station. Fifty organizations and 100 volunteers will take part in the day of service. Boston Police Commissioner William B. Evans, Commissioner of Inspectional Services Department William Christopher, Jr. and City Councilor Frank Baker will be in attendance. AGC MA, Bond, Central Ceilings, Inc., Columbia, Commodore Builders, Elaine Construction, Gilbane Building Co., Sea-Dar Construction, Skanska, Suffolk, and Turner Construction. H. Carr and Sons, Inc.
Boston, Mass.— On the Saturday before Mother’s Day, moms in the community will gather at Novara, the popular Milton-based restaurant to support St. Mary’s Center for Women and Children via Dancing for Hope’s second annual luncheon and fundraising event. To date the Dancing for Hope committee has raised more than $400,000 for St. Mary’s Center’s programs and services for young Moms and their children, which include shelter, education, and job training. Dancing for Hope committee (L-R) Denise Queally, Evelyn Knight, Jill Hayes, Margaret Walsh, and Danielle McKnight. Nearly 100 people are expected to attend the luncheon to enjoy great food at Novara, known for its signature drink, “The New Fig on the Block”, a nod to investor Jordan Knight of New Kids on the Block. 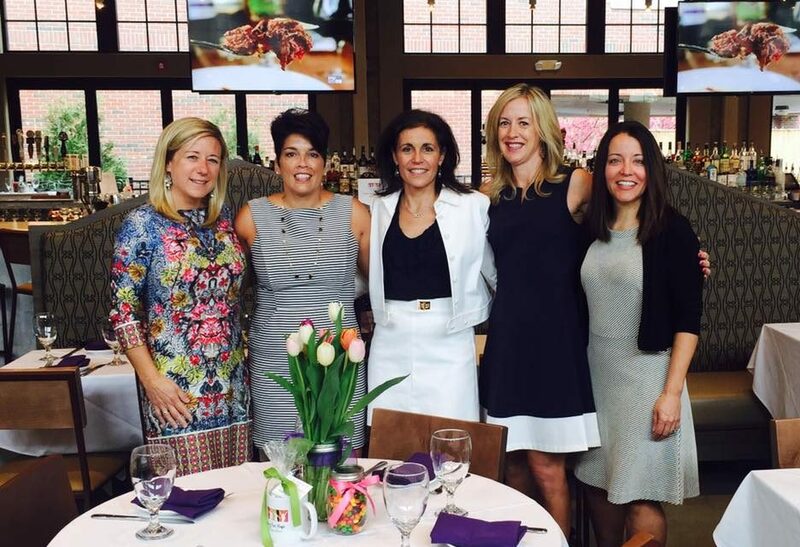 Knight’s wife and restaurant partner, Evelyn, serves as long-time co-chair of the Dancing for Hope committee along with fellow co-chair and Milton resident Jill Hayes. In addition to Knight and Hayes, committee members include Milton residents Patti Elliott, Danielle McKnight, Denise Queally, and Margaret Walsh. Hosting the Saturday, May 13th event for the second year in a row, Novara is located in the historic and former State Theatre also known as the Milton Cinema. The event which raised nearly $35,000 last year, begins at 11 a.m. and ends at 3 p.m. Guests enjoy a brunch buffet featuring Northern Italian cuisine, sip complimentary mimosas, bid on auction items, and play games. The event also features a brief speaking program where a former St. Mary’s Center resident will share her personal story and accomplishments. Tickets are $75 per person. Guests also are invited to bring gifts of new bedding, small housewares, and gift cards to local stores to provide families with critical items as they work toward independence. More information on purchasing tickets and details on the wishlist for families are available at www.stmaryscenterma.org. “Eight years ago, Evelyn and I launched Dancing for Hope with a few volunteers, and now we have grown to a group of dedicated women who each year support the life-changing work of St. Mary’s Center who help Moms build bright futures,” said Hayes. All event proceeds benefit St. Mary’s Center for Women and Children, the Dorchester-based nonprofit agency that serves more than 600 families and children each year affected by intergenerational homelessness, poverty, and trauma via eight innovative residential, education, employment and preventative programs. New York—St. Mary’s Center’s GRLZradio program, a youth development program and 24/7/365 web-based radio station (grlzradio.org) won two awards and was a finalist in a total of three categories at the 77th Annual International Intercollegiate Broadcasting System (IBS) Conference and Golden Mic Award Ceremony on Saturday, March 4th. GRLZradio was awarded two golden microphone trophies winning Best Public Service Announcement and Best Use of Facebook and was a finalist for Best Use of Instagram. The IBS conference and award ceremony featured over 150 speakers and nearly 1,500 individuals from across the globe to celebrate excellence in radio programming, community media, public service efforts, air personalities, and outstanding radio for both colleges and high schools. This month’s awards mark the second time GRLZradio has been recognized by IBS. In 2016, the program won Best Station ID and Best Radio Drama for “An Urban Cinderella Story” and was a finalist in two categories, Best Radio Talk Show and Best On-Air Personality. “We are so proud of the DJs and staff at GRLZradio to be recognized two years in a row– winning a total of four awards and seven total nominations. The IBS Conference provides an opportunity for the staff and a few girls in the program to receive the recognition they so richly deserve for their broadcasting achievement on top of their academic success! It’s also an opportunity for them to network and exchange ideas with their peers,” said Deirdre Houtmeyers, President. Broadcasting daily on the web from its studios at St. Mary’s Center, GRLZradio is a first of its kind youth leadership and development program. GRLZradio provides a nurturing, supportive environment that encourages academic achievement and cultivates essential critical thinking, communication, social and employment skills by offering a safe forum and paid position for teen girls from Dorchester and surrounding communities. Training more than 75 adolescent girls annually in all aspects of radio production and programming, GRLZradio teaches and promotes the importance of a positive self-image which is vital to all aspects of their lives. 100% of participants graduate high school and are accepted into college, they receive professional level on-air personality experience along with industry standard training in all aspects of broadcast technology, 80% report increased self-esteem and self-efficacy. Green has more than 15 years of experience in youth development, program direction and operations, and curriculum design and implementation. Teen girls ages 12 to 19 are the on-air DJ’s who with training from staff members Danielle Johnson and Tekeisha Meade select and play music with positive and empowering lyrics. The DJ’s also create, produce, and host talk radio shows during the fall, spring, and summer sessions. The girls also offer peer training and community outreach activities to scores of youth each year to teach media literacy, violence prevention, and leadership skills. GRLZradio is one of eight programs at St. Mary’s Center’s Dorchester campus. Founded in 2003, GRLZradio was created out of crisis in the Bowdoin/Geneva neighborhood of Dorchester, Massachusetts at a time when violent crime was skyrocketing. Confronted with a sense of marginalization in the larger society, neighborhood girls started to express their concerns about their lives and future. They approached former Boston Mayor Thomas Menino with a desire to create a more positive image of young women and an outlet to be heard. In 2006, GRLZradio became a program of St. Mary’s Center for Women and Children, located on Jones Hill in Dorchester. Visit or listen at www.grlzradio.org or use the smart phone app, Tune In to listen. 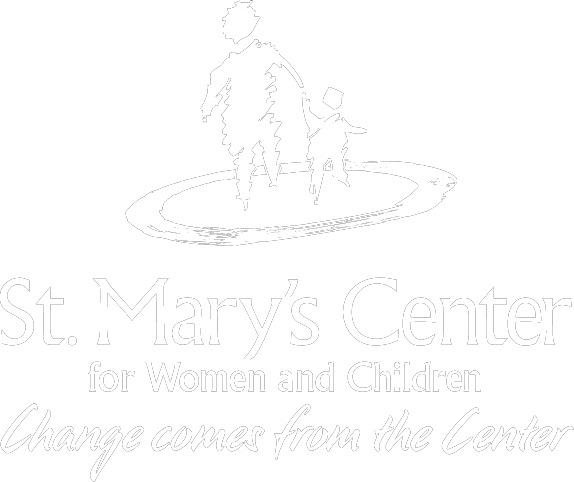 St. Mary’s Center for Women and Children offers innovative, family-centered programs for women and children who have experienced trauma and are living in poverty. Placing families at the center of our efforts, St. Mary’s Center works in partnership with young women, many of them mothers, to break the intergenerational cycle of poverty and achieve lasting, powerful change by building their emotional well-being, educational achievements and economic independence. Boston, Mass. June 10, 2016—St. Mary’s Center for Women and Children is one of 100 local nonprofit agencies to receive grants of $100,000 each through Cummings Foundation’s “$100k for 100” program. St. Mary’s Center, based in Uphams Corner in Dorchester, was chosen from a total of 479 applicants, during a competitive review process. St. Mary’s Center will receive one gift of $100,000 toward a recreation room for children living in its residential programs as well as children and teens participating in the agency’s community programs. Founded in 1993, St. Mary’s Center offers seven programs in Dorchester including four residential programs and three education, employment, and prevention programs. The agency also has a fifth residential program, Crossroads Family Center, located in East Boston. Each year, more than 600 families receive shelter, clinical and educational services, job training and support from professional staff, so they may build brighter futures. St. Mary’s Center’s programs include Bridge Home, Margaret’s House, St. Mary’s Home, Mass Maternity First Home, Women’s Learning Center, Women@Work Plus and GRLZ Radio. On June 9, St. Mary’s Center President Deirdre Houtmeyers and V.P. of Development and Communications, Susan Keliher joined 300 other guests to celebrate $10,000,000 infusion into Greater Boston’s nonprofit sector. With the conclusion of this grant cycle, Cummings Foundation has now awarded more than $140 million to local nonprofits alone. A new recreation room will benefit more than 100 children each day for generations of families residing in one of St. Mary’s Center’s residential programs. A recreation facility also will be used by members of the community who participate in education, employment, and prevention programs. The space may be used for family gatherings, activities, meetings, celebrations and staff trainings, too. Another 50-100 children attend Horizons Daycare program on St. Mary’s Center campus, who also make use of the recreation room. St. Mary’s Center is located in the former St. Margaret’s Hospital, which has many rooms that serve as bedrooms, but not many large spaces that provide sufficient space for play. While the campus has an outdoor playground, Boston winters are harsh, and many days, due to inclement weather, the kids cannot go outside and play. Staff have made due, by having the children play games and ride bikes inside small community rooms and in open spaces, including hallways in the education and employment programs, when those programs are not in session. Creating a large, indoor play space is high on President Houtmeyers’ wish list and the agency’s new strategic plan. A registered nurse, Houtmeyers is committed to providing opportunities that improve health and wellness for the families of St. Mary’s Center, so they may have long and prosperous lives. The new recreation room will help children enjoy the everyday joys of childhood, and support more activities and programs that help families thrive, such as a year-round play space for children to participate in athletic and wellness activities as well as play games, bounce balls, and ride bikes. The plan for the recreation room is to convert existing offices which are part of the facilities’ management team’s offices and storage space that is approximately 50’ x 40’ feet or 2000 square feet into an open play space. Lead support from the Cummings Foundation enables St. Mary’s Center to attract more financial and in-kind donors to support the project. The $100k for 100 program supports nonprofits that are not only based in but also primarily serve Middlesex, Essex, and Suffolk counties. This year, the program is benefitting 41 different cities and towns within the Commonwealth. This year’s diverse group of grant recipients represent a wide variety of causes, including education, homelessness prevention, elder services, healthcare, and food insecurity. Most of the grants will be paid during a two-to-five year period. The complete list of 100 grant winners is available at www.CummingsFoundation,org. Woburn-based Cummings Foundation, Inc. was established in 1986 by Joyce and Bill Cummings of Winchester. With assets exceeding $1 billion, it is one of the largest foundations in New England. The Foundation directly operated its own charitable subsidiaries, including two New Horizons retirement communities in Marlborough and Woburn. Its largest single commitment to date was $50 million to Cummings School of Veterinary Medicine at Tufts University. Additional information is available at www.CummingsFoundation.org. Boston, Mass.—St. Mary’s Center’s new transitional supportive housing program involves the substantial renovation of an existing structure to provide a critical and unmet need in the community—supportive housing for young families who are not fully prepared for independent living. The new program will be the fourth residential program on the agency’s Dorchester campus, and its eighth program overall. The transitional supportive housing program will provide 12 young homeless families at any one time with the tools, developmental experience, and learning opportunities they need to thrive and succeed. Last winter’s record-breaking snowfall has taken a toll on the historic building which is located in Upham’s Corner atop the highest point in Boston, Jones Hill. The project includes repair to the building’s façade, updates to the interior at GRLZradio.org, an after-school program and web-based radio station for teen girls, the creation of an additional bedroom in Margaret’s House, an onsite residence for homeless families, improvements to community space in St. Mary’s Home, a residential program for pregnant and parenting teens, landscaping, and the renovation of the lobby and reception area.